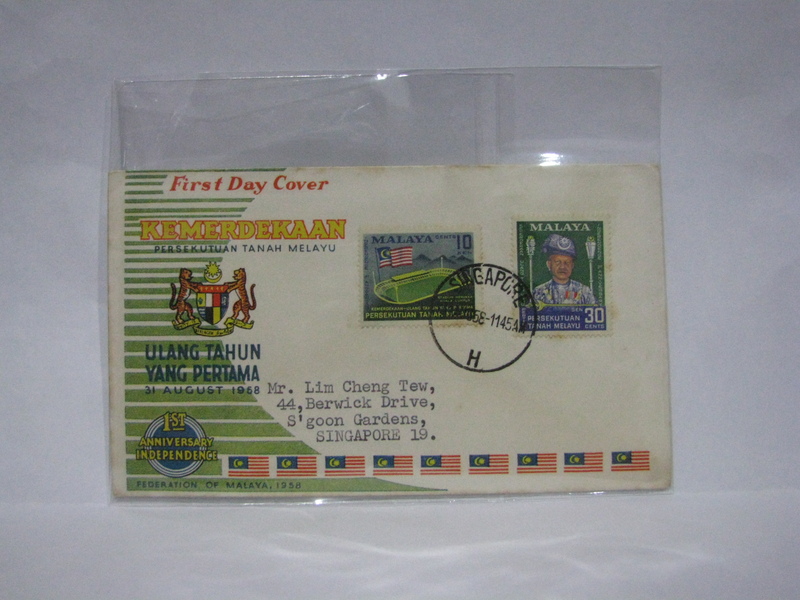 (1) 31 August 1957 was the first Independent Malaya stamp issue! 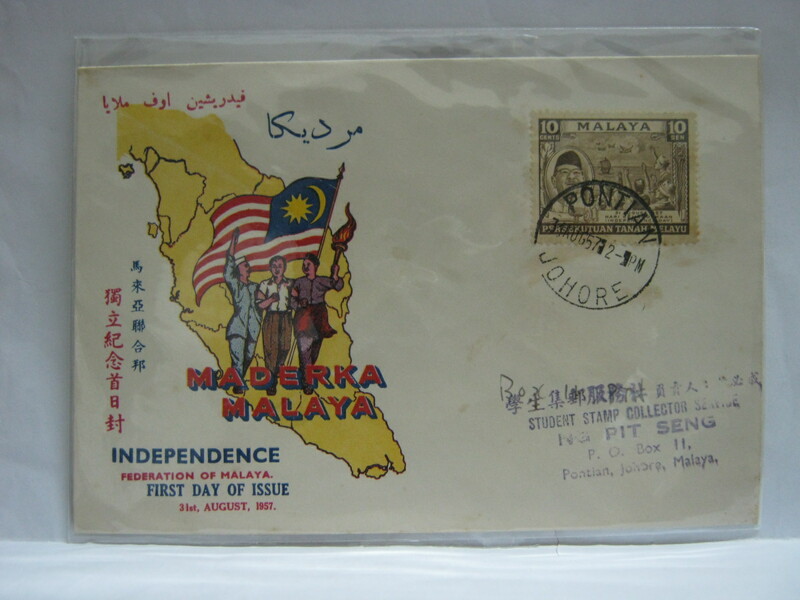 (2) After the independence of Malaya, only one commemorative set was issued in 1958 to commemorate the 1st Anniversary of Independence. (3) A special slogan was seen in late 1962 in Singapore to reaffirm the commitment towards the formation of Malaysia. The slogan reads ” MALAYSIA – As Sure as the Sun Must Rise”. (4) Malaysia was formed on 16 September 1963. The interesting thing is that the envelopes were prepared for 31 August 1963 which was supposed to be the formation date (which was already a postponement). As the final date was postponed yet again to 16 September 1963, hasty stickers were made and applied on the envelopes. Nowadays the FDCs cancelled in Singapore are very much sought after. North Borneo cancellations are popular too as North Borneo is now known as Sabah. 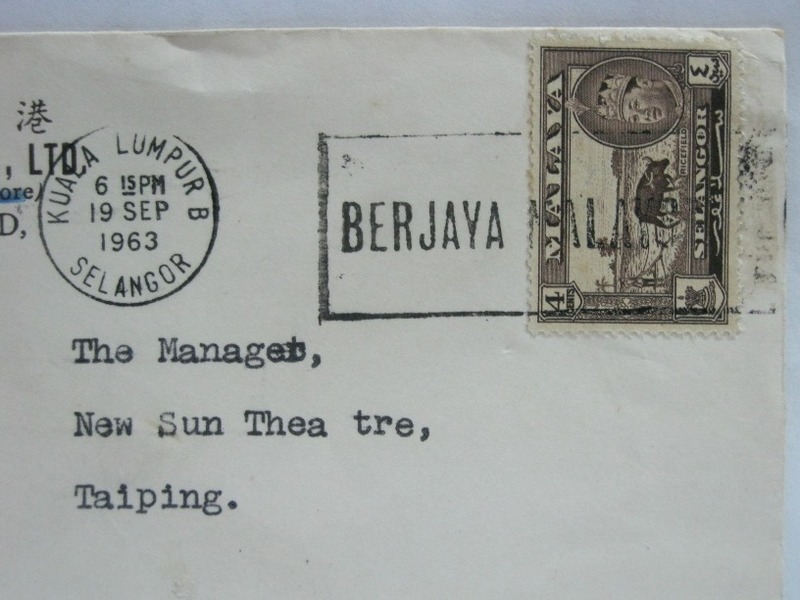 (5) Special slogan cancels “BERJAYA MALAYSIA” (Success to Malaysia) was used on mails in 1963 to celebrate the formation of Malaysia. (6) A shortened version with just “BERJAYA” (Success) was still in use in 1965. (7) It was only in 1967 that a set of 2 stamps was issued to commemorate the 10th Anniversary of Independence. (8) The National Definitive (Butterflies) with the denominations of 25 cents, 30 cents, 50 cents and 75 cents were issued on 31 August 1970! 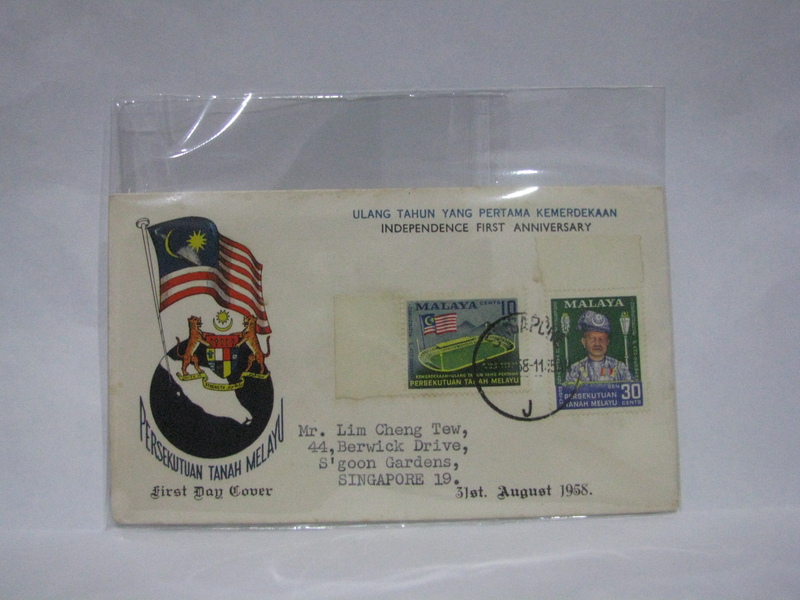 There was a scarce hand cancellation “Hari Kebangsaan Ujudkan Perpaduan” (National Day – Create Unity) only seen on postally used covers. 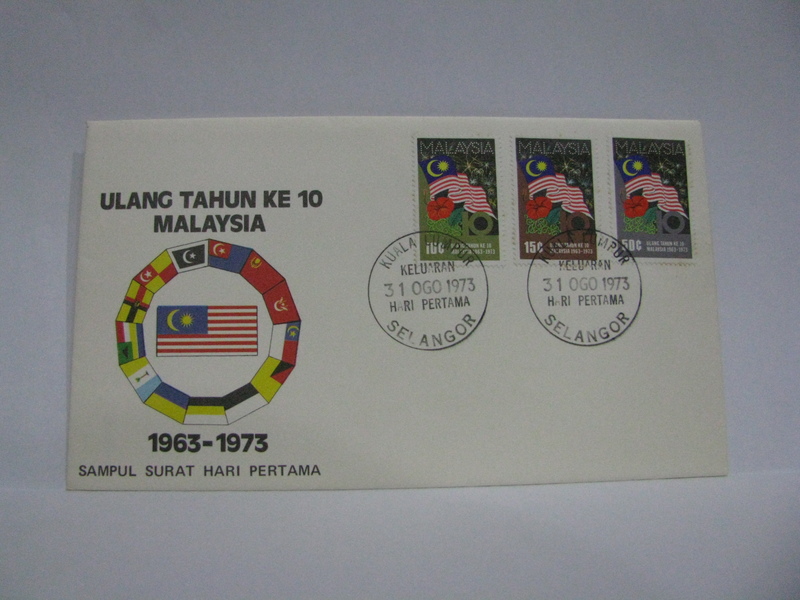 (9) In 1973 a set of stamps was issued to commemorate the 10th Anniversary of Malaysia. However the issue date was on 31 August 1973! I suppose it should have been 16 September 1973! 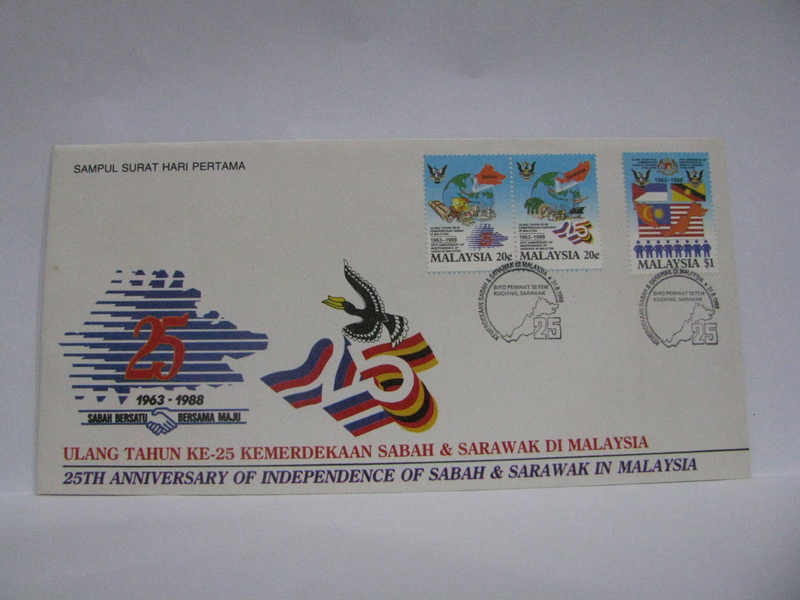 A hand struck slogan “10 TAHUN MERDEKA JAYAKAN MALAYSIA” (10 Years Independence Make Malaysia a Success) was used on mails in Sarawak. This cachet is in red. This cachet is in blue. 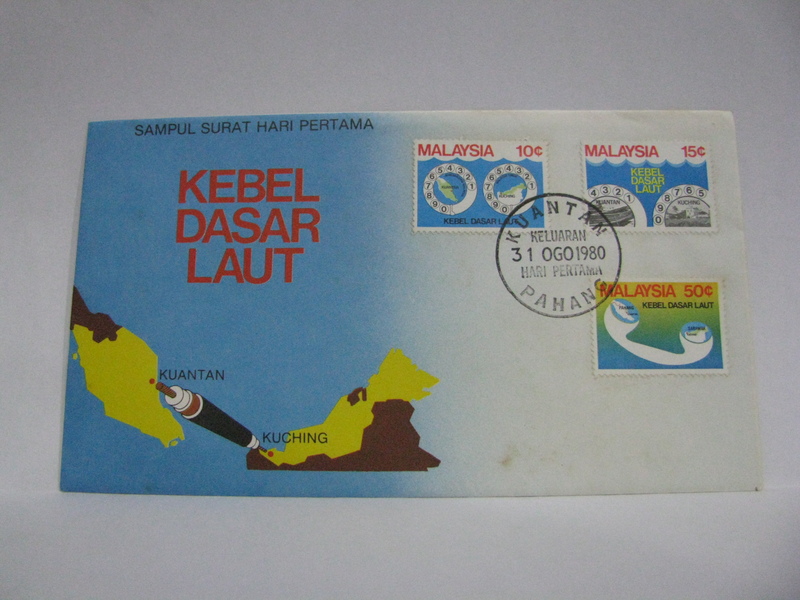 (10) Strangely on 31 August 1980, a Submarine Cable Project stamp set was issued instead of a Independence Day issue. In those days the Post Office actually opened on public holidays if there is a stamp issue on that day. (11) The next year on 31 August 1981 the same thing happened again. 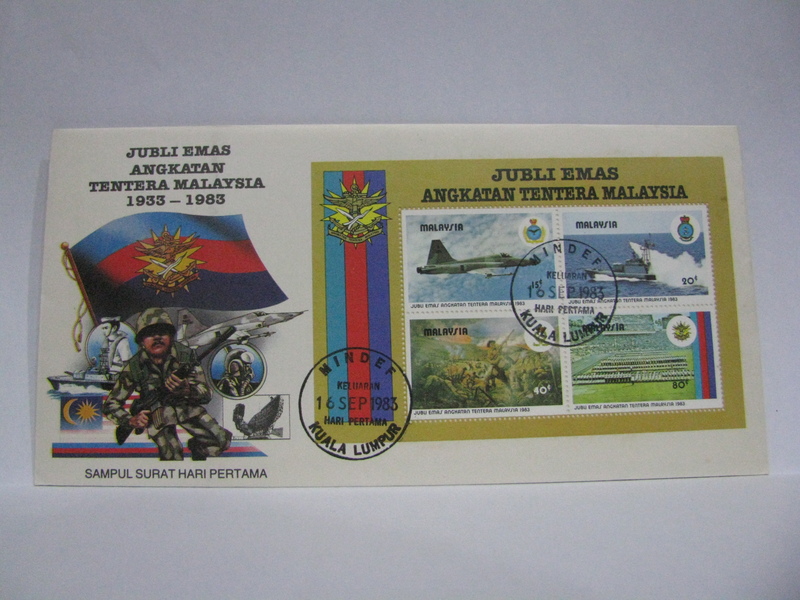 This time, the stamp issue was on the 100th Anniversary of Sabah. It was more fitting, however it was still not an Independence Day issue. 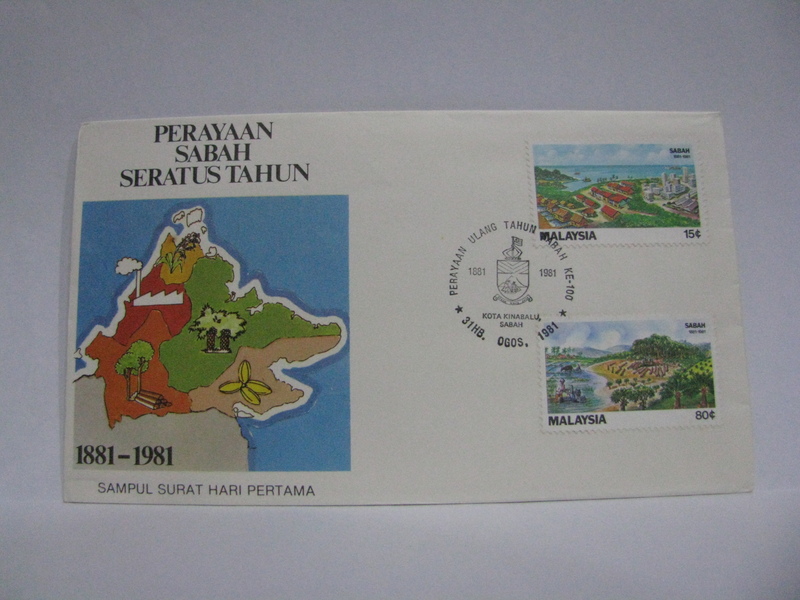 (12) On 31 August 1982, the country celebrated the 25th Anniversary of Independence and issued the first miniature sheet in Malaysia’s philatelic history. 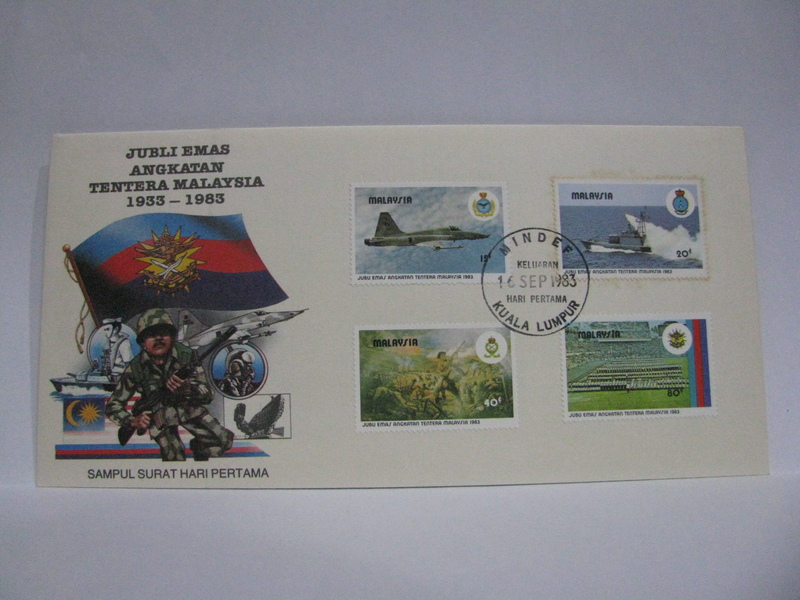 (13) On 16 September 1983, the stamp issue was again not related to the formation of Malaysia but a celebration of the 50th Anniversary of the Malaysian Armed Forces. (14) The next real Independence Day issue was on 31 August 1988. The stamp issue commemorated the 25th Anniversary of Sabah and Sarawak in Malaysia. Again the date was not accurate. It should have been 16 September 1988. However in those days, Malaysia Day (16 September) was not widely celebrated. 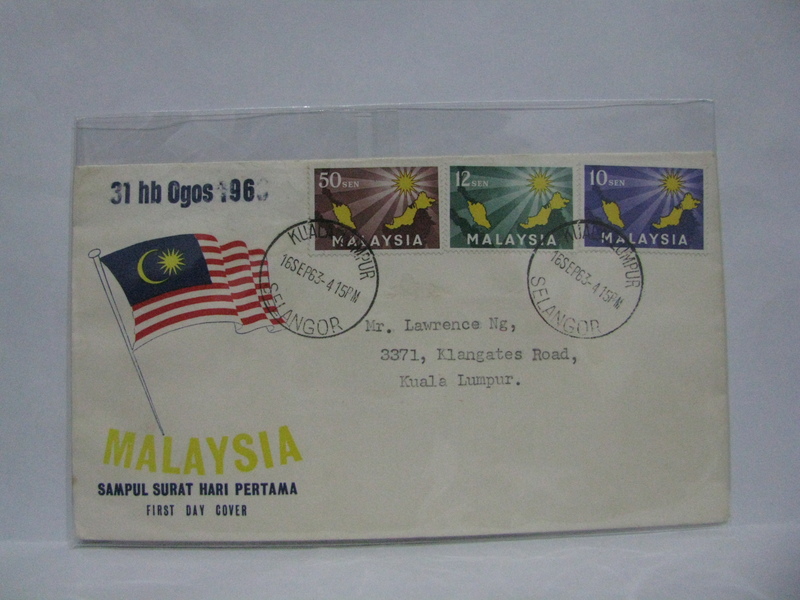 Surprisingly the postal slogan to celebrate this occasion was still seen in use in Sarawak until 1994 (the 31st year of Independence in Malaysia)! 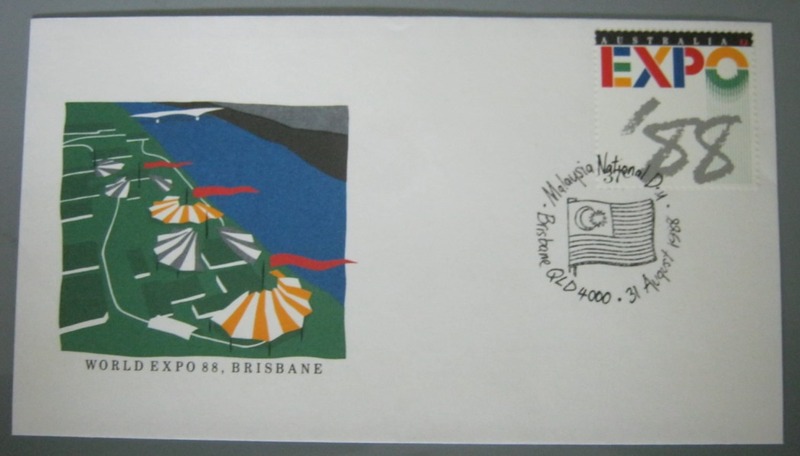 (15) During the World Expo 88 in Brisbane, Queensland, Australia Post issued a cancellation that reads “Malaysia National Day Brisbane QLD 4000 31 August 1988” with a Malaysian Flag (with the correct number of stripes!) along with a souvenir cover. 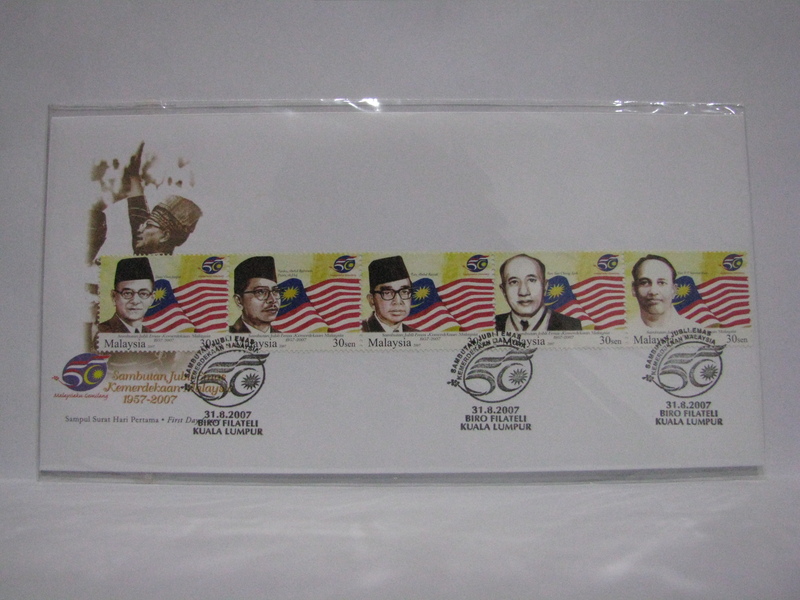 (16) 30 August 1991, a day before Independence Day, a stamp issue on the Past Prime Ministers of Malaysia was issued. This was to be the start of the issue of patriotic related issues for the Independence Day celebrations. (17) 2002! 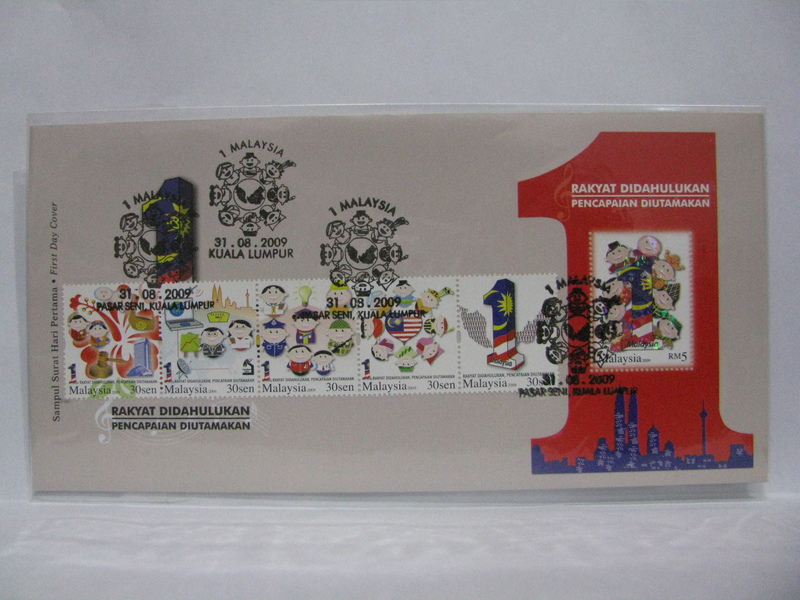 Yes it was 11 years later that an Independence Day related stamp set was issued. 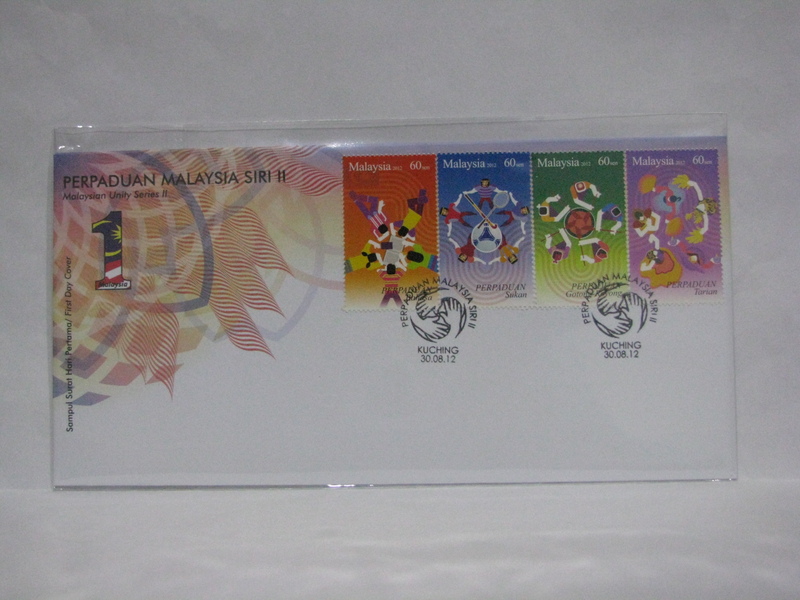 This was the Malaysian Unity Series 1 issued on 24 August 2002! (18) On 19 August 2003, a set of stamps and miniature sheet were issued to celebrate the 46th Anniversary of Independence Day. The 30 sen stamp was in the lime light for having too few stripes! The official response was that the flag was fluttering thus some of the stripes could not be seen. Anyway, it is a very nice issue. (19) 31 August 2007 was the 50th Anniversary of Independence. The stamps, booklet and miniature sheet were very well designed! It was a very popular stamp issue! 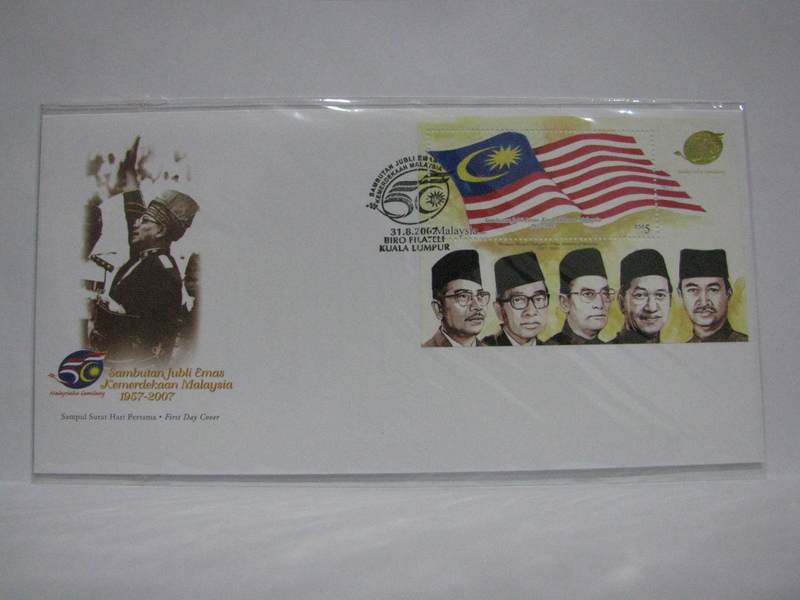 (20) On 31 August 2009, the first “One Malaysia” stamps, booklet and miniature sheet were issued. A special launch cancellation was made available in Pasar Seni Kuala Lumpur just opposite the General Post Office. (21) In 2011, there was no Independence Day issue. 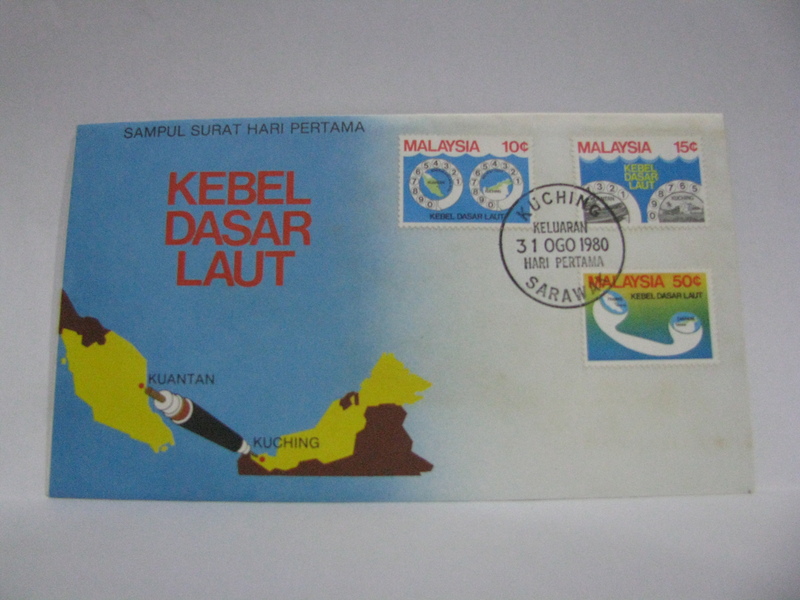 However a first in philatelic history, the 1957 Merdeka stamp and FDC images were reproduced in the Malaysia – Indonesia Joint Issue. 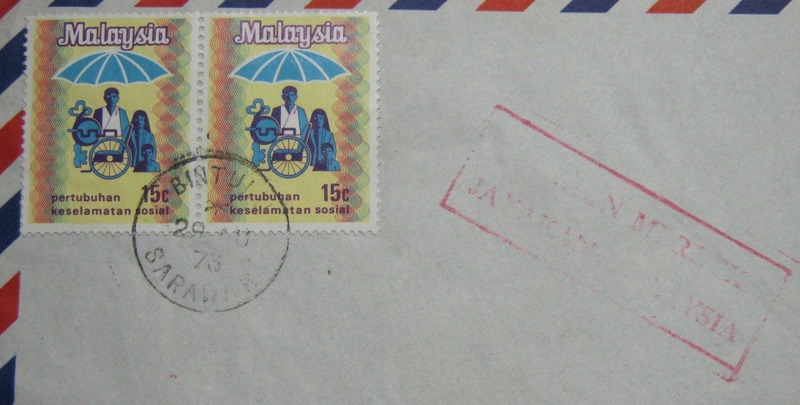 The 1957 Merdeka stamp image was reproduced on the Malaysia 90 sen stamp and the Indonesian 2500 Rupiah stamp number 7/8. 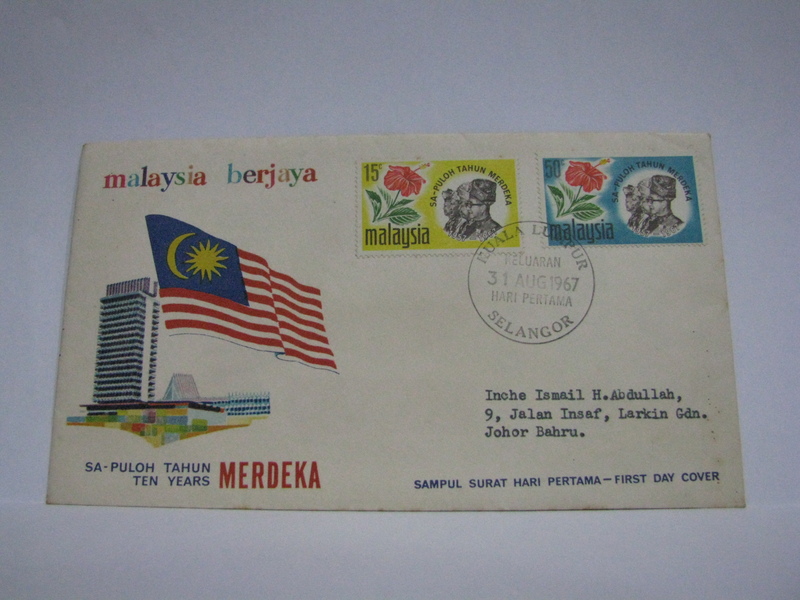 The image of the 1957 Merdeka FDC was reproduced on the back of the Pos Malaysia FDC envelope. (22) On 30 August 2012, Malaysian Unity Series 2 was released …… 10 years since the first series was issued! (23) For the first time in history, an Independence Day related theme was issued way after 31 August! 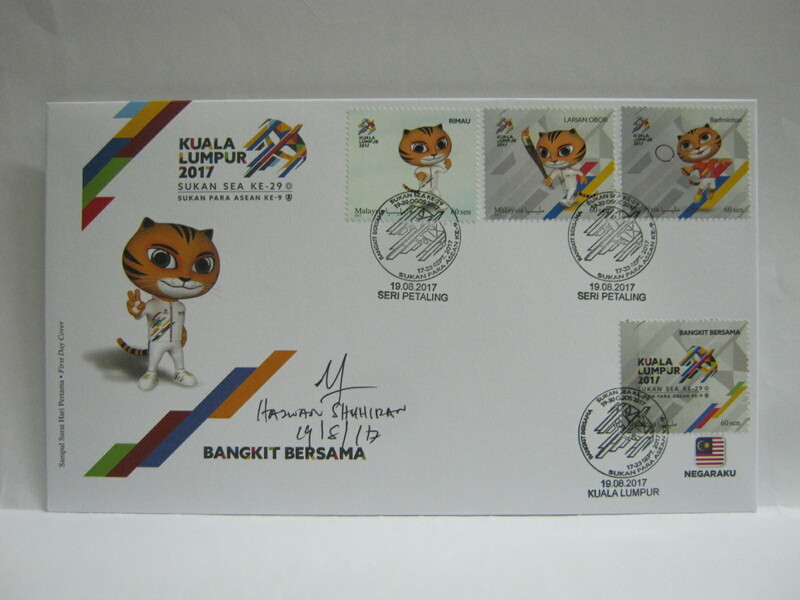 This time the “One Malaysia” series 2, was issued only on 10 November 2012! (24) Surprisingly non-Independence Day stamps were again issued on 31 August 2013. 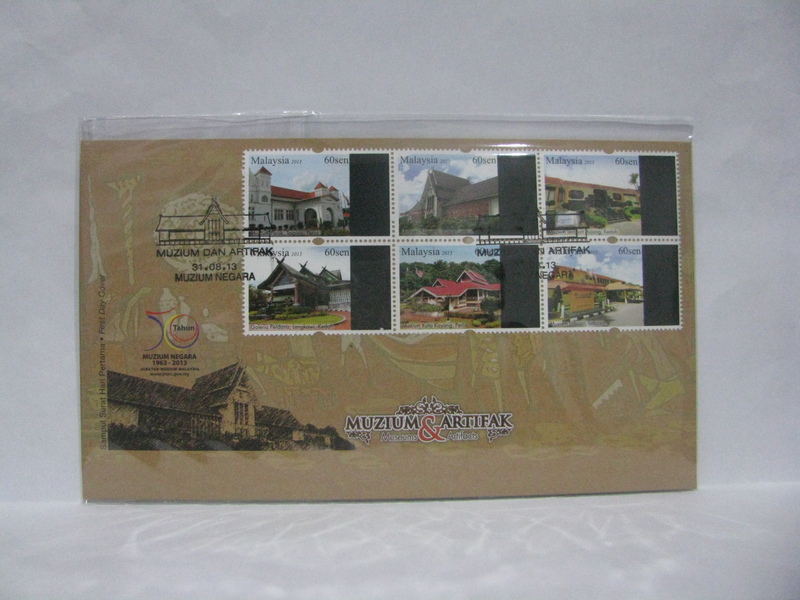 This time it is the Museums and Artifacts (50 Years Muzium Negara) stamp issue. 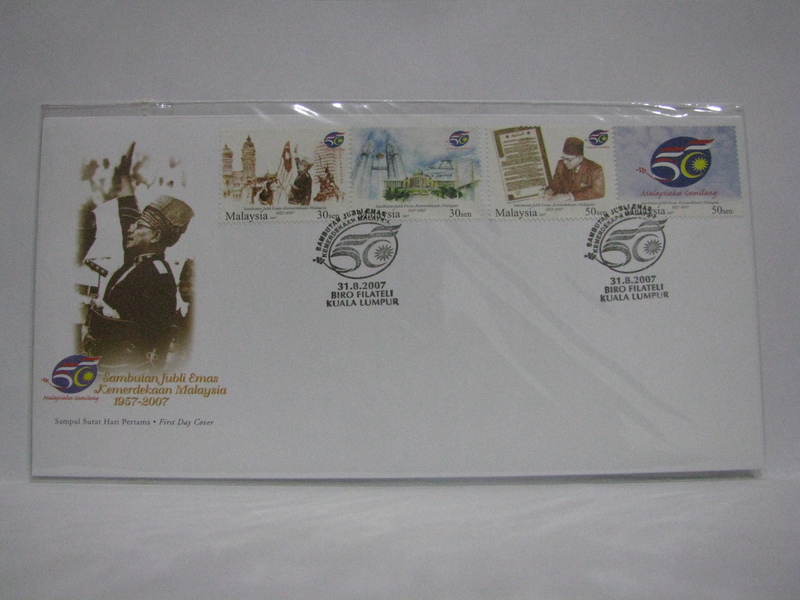 (25) On 16 September 2013, the much awaited 50 Years of Malaysia single 60 sen stamp was issued. 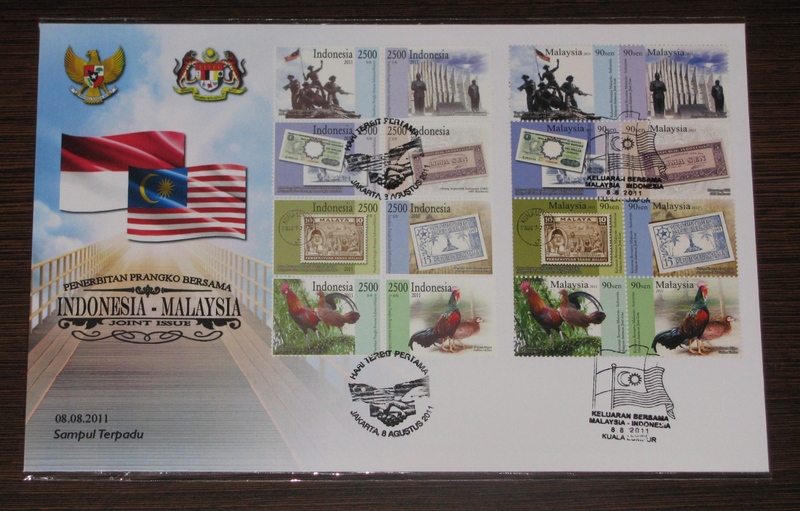 This is a very appropriate issue and the second time that the formation of “Malaysia” was commemorated with stamps on the auspicious day. The first time was on 16 September 1963! That is a gap of 50 years. I did not count the 31 August 1988 issue as I considered that as an incorrect date. 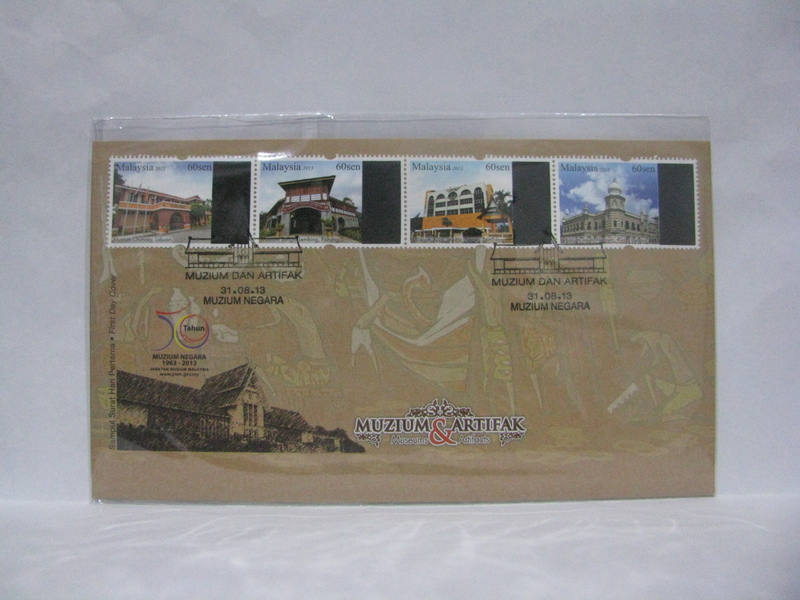 (26) On 08 September 2014, a single stamp was issued for the 57th Merdeka celebration. 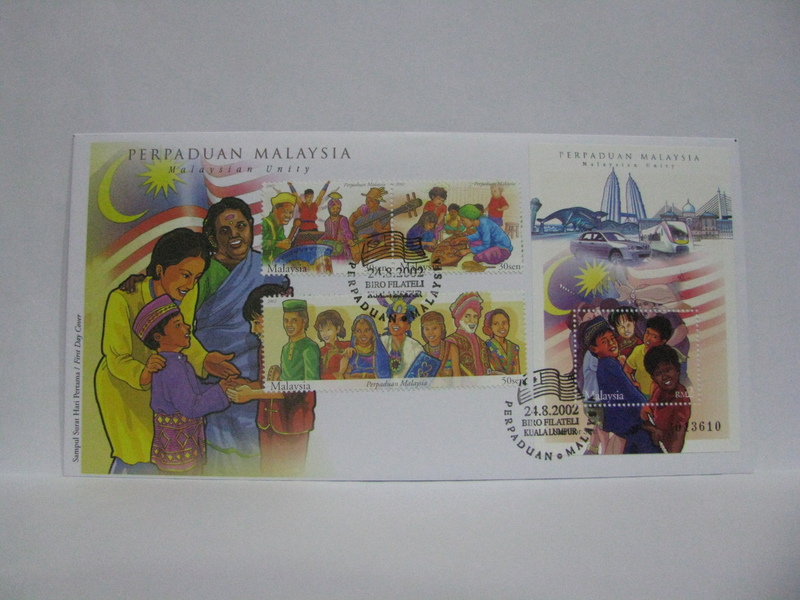 The special pictorial cancellation was still dated 31 August 2014. 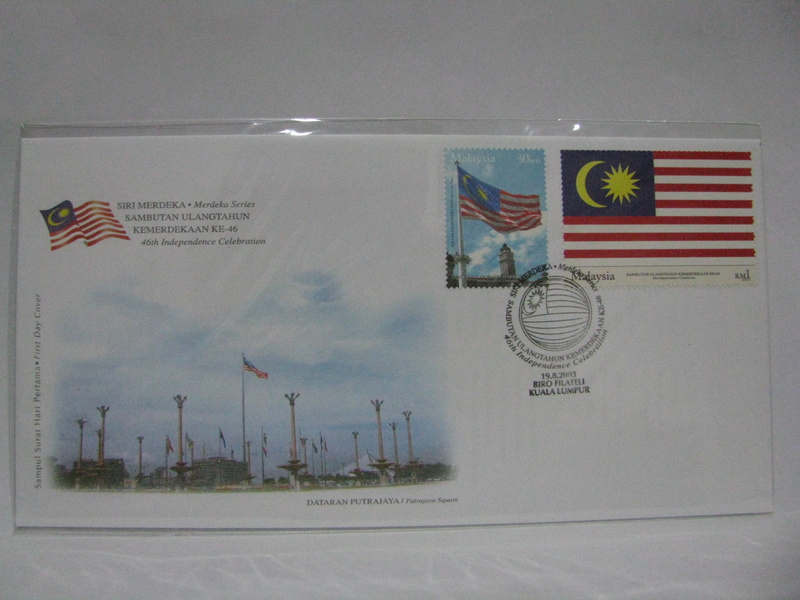 (27) In 2015, the Malaysia Day issue was issued on 15 September 2015 with the theme of “Malaysia Day”. 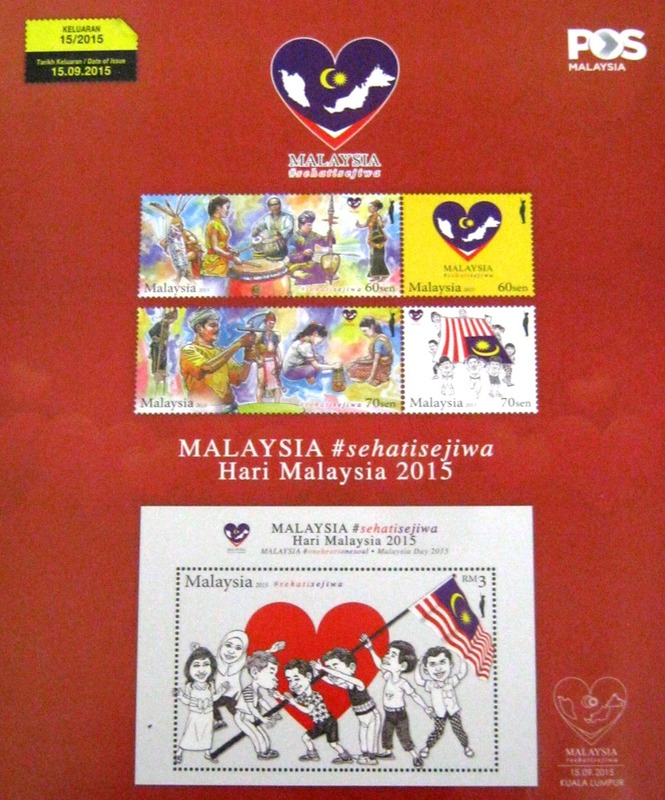 (28) A postal slogan was used in the National Mail Centre for the 2016 Malaysia Day. (29) A Greetings Setem Ku for the National Day and Malaysia Day was released by Pos Malaysia on 21 August 2017. 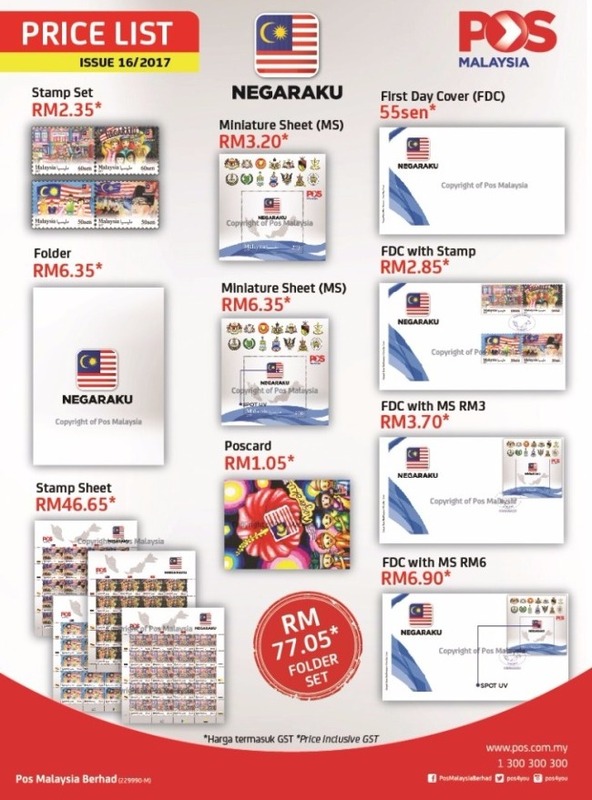 (30) The first appearance of NEGARAKU logo (bottom right) was on the SEA Games FDC released on 21 August 2017. 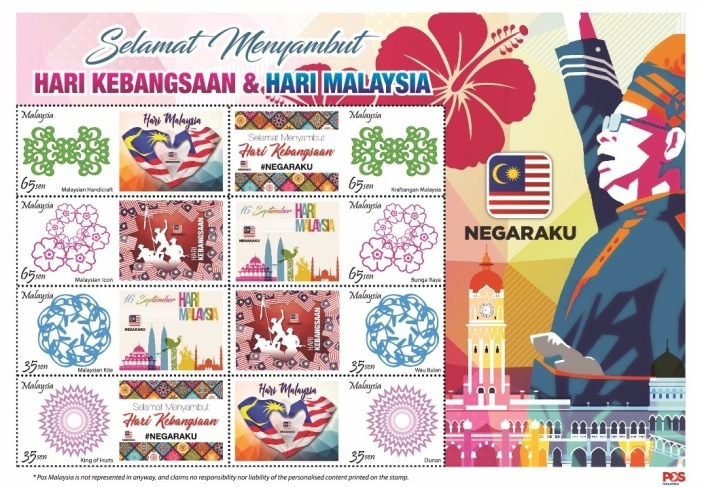 (31) A stamp issue on NEGARAKU was released on 14 September 2017.